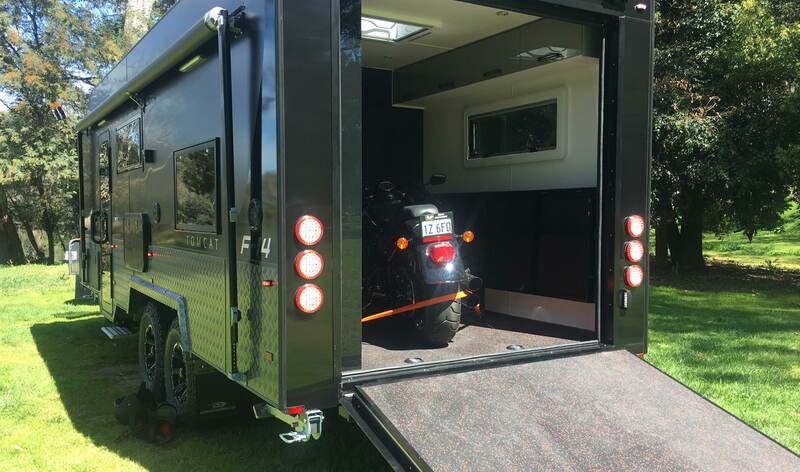 Toy Hauler engineered and designed with a difference. high impact design, endless features and overall appearance. 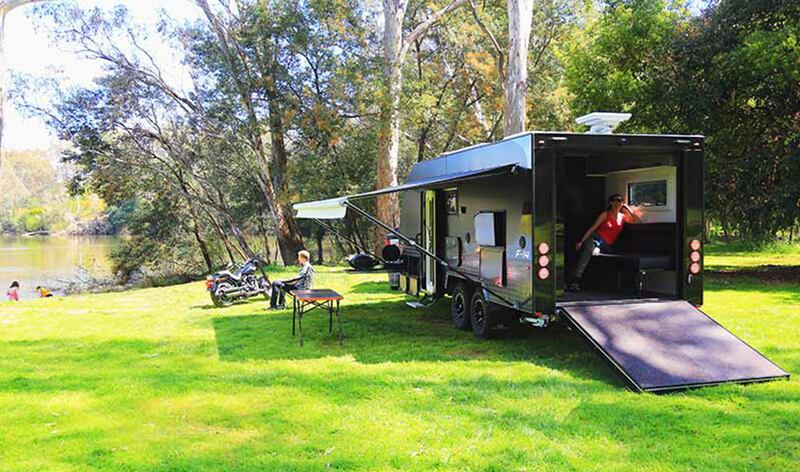 This is a Toy Hauler engineered and designed with a difference. 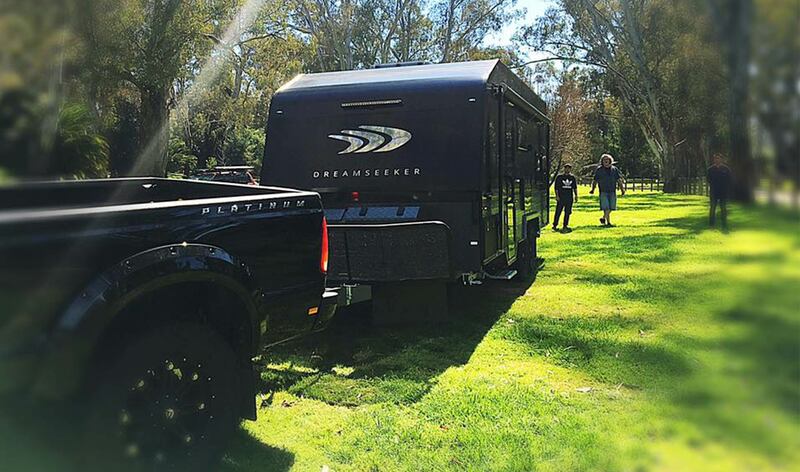 For strength and durability Dreamseeker designed this model with its intended purpose very much at the forefront of their minds. The chassis is 6” throughout. The ever-reliable and extensively tested Tuff Ride suspension offers an impressive ATM of 4.5T. 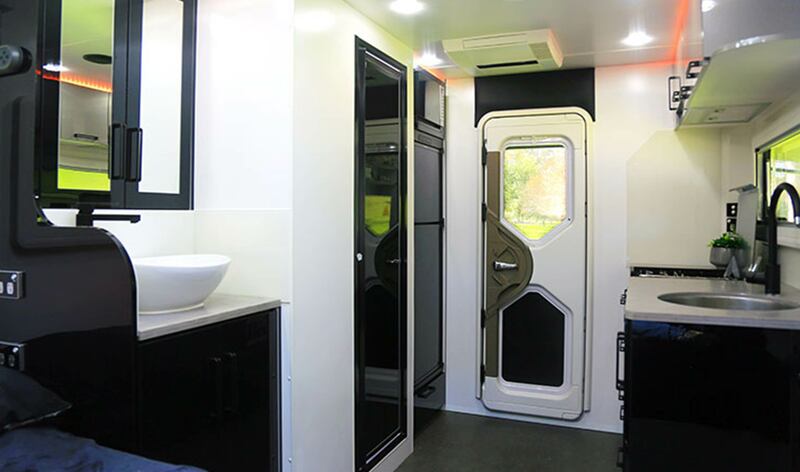 A set of All Terrain Tyres come as standard with one spare cleverly mounted underneath the van. The frame is Aluminium throughout adding additional strength to F14. 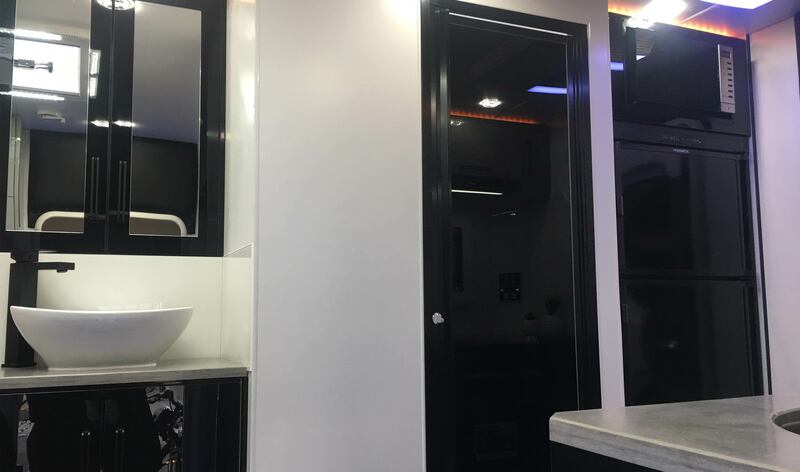 The bold, dominating black Aluminium Composite exterior undoubtedly captures attention. 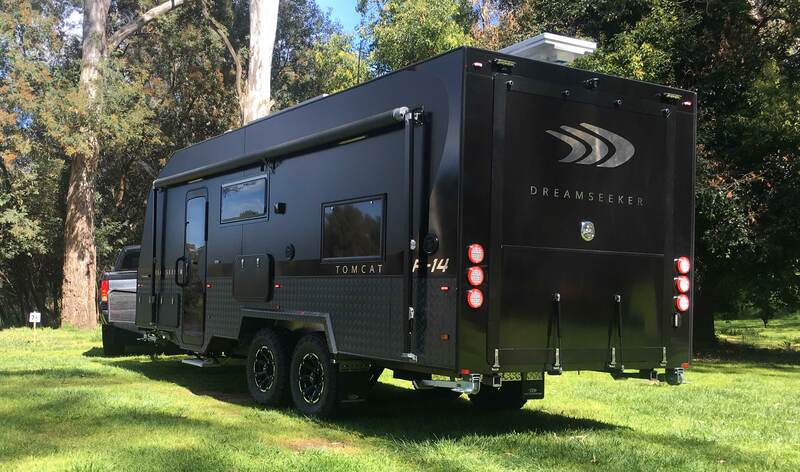 The Dreamseeker F14 Tomcat offers customers an opportunity to experience the freedom of what we all know to be the ultimate outdoor lifestyle. 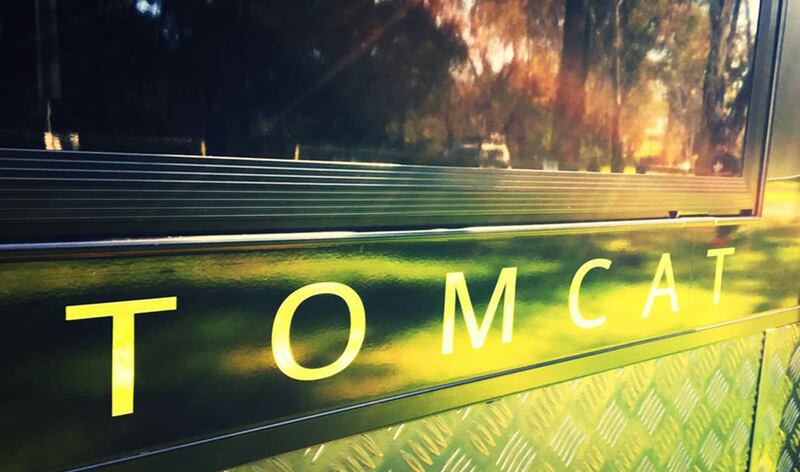 Packed with features and crafted out of passion, the F14 Tomcat captures the raw, exhilarating and adventurous side of caravanning with a rare and beautiful twist. 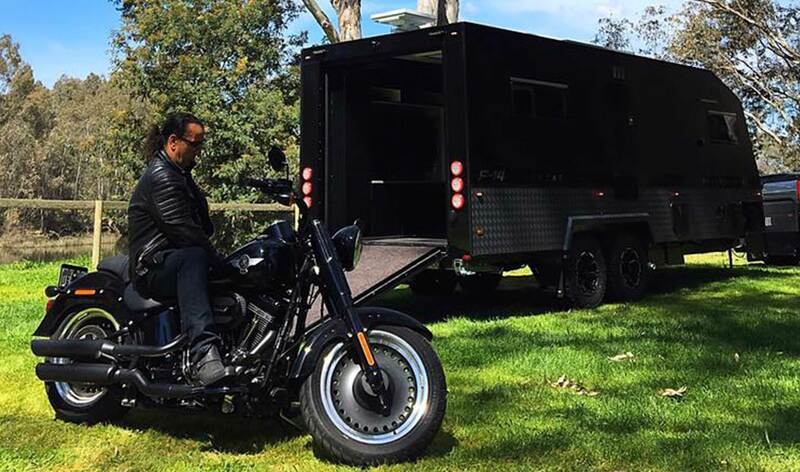 After a day of riding you will look forward to returning to an environment like no other. 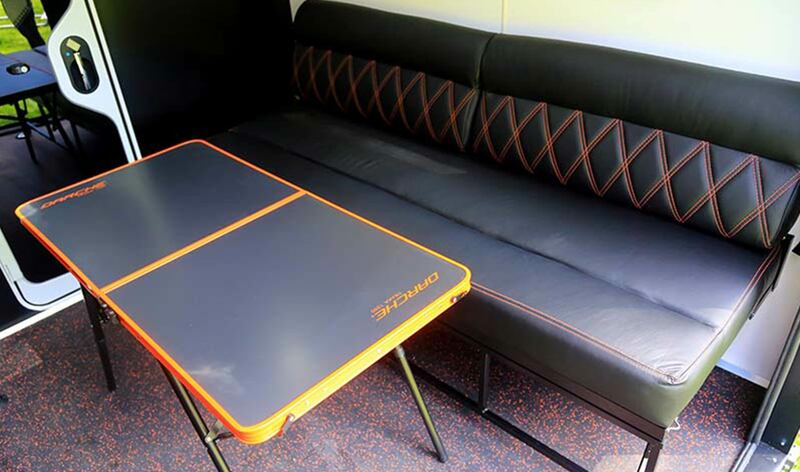 The two-zone living space makes the Tomcat one of the smartest designs on the market. 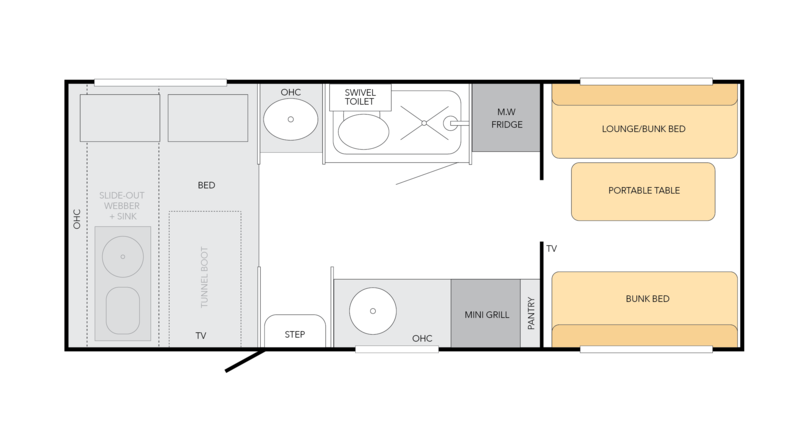 A classy Dometic quad lock door separates the two areas. 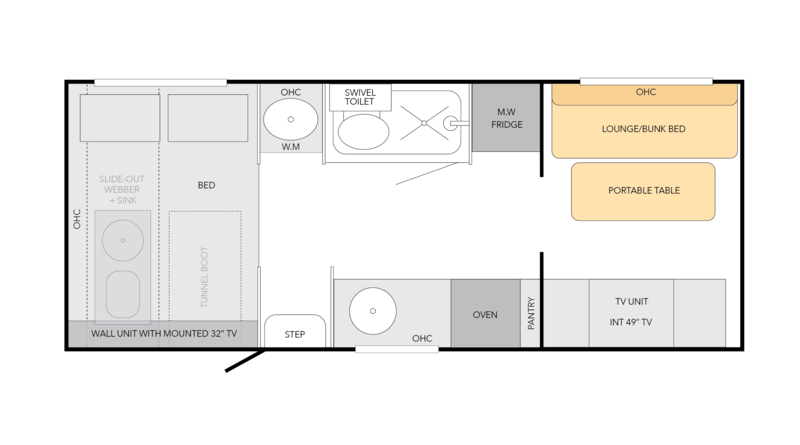 To the front of the van we have the main living and sleeping areas.